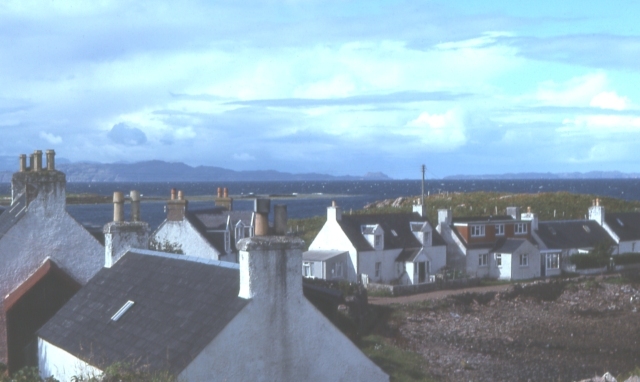 Traditional Highland cottages cluster along Ard Dubh (the 'dark headland') in Applecross. Ian Taylor took a rather better shot of the same view a year later: NG7040 : Ard Dhubh, Applecross. © Copyright Anne Burgess and licensed for reuse under this Creative Commons Licence. This page has been viewed about 288 times. This is Nannas cottage. At least twice a year we take the children up for 4 wks at Easter and more over the Summer. We hope that the magic of this place will find a special place in their hearts for ever.